They say real love never sheds blood, where were these drops of blood leading me then? Thunder cracked in the nearby field, enclosed in the dark room, I submerged my muffled cries in the pillow. The clock stuck two, I look into the darkness with that sense of numbness .For the first time in 12 hours of our fight I wasn’t feeling anything ,I had cried all my heart out, I had panicked ,I had been scared and all that had made me numb now. He was so calm days back, suddenly that submerged anger ruptured him and he was violent like always. He screamed abuses at me, called me filthy, questioned my links with other guys in my life, fiercely called me a waste of time. I pleaded a sorry into the phone a numerous time over but the only thing that mattered to him was an appraisal of his mannish ego he went on and on and I had only a right of silence. I looked into the darkness why was I bearing all this pain why did I ever need to live my life in accordance to his doctrines? Couldn’t I just walk out of this relationship? But there was no relationship in this place it was a friendship gone violent, a dear and close aid some time back he took over my life in name of safety and now he empowered it. He questioned my interaction? He questioned the way I dressed, he questioned my smile, and he questioned ME infinite times over? He said he cared for me ...he said he loved me ...and now he was killing me. Ending me seemed the only option tonight! As always he said if I shared all this things with anyone he would kill them but tonight he said he would kill the person who was my love! I can’t see my love dying I can’t be responsible for this fanaticism that this man had towards me. 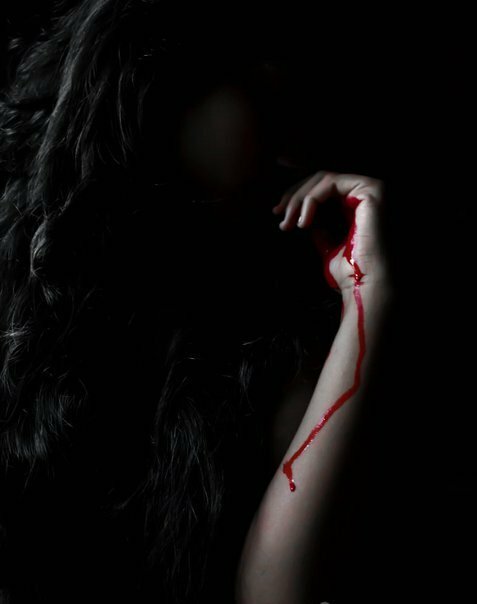 To end that vicious approach towards love, to end that violence that he called love, I called it quits.... with drops of blood slowly covering the floor my eyes close to en capture the tears within them forever.